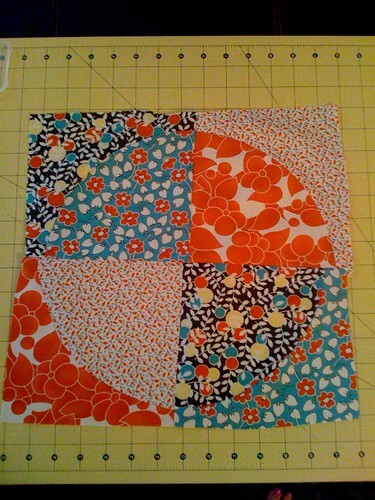 Wow, so I know that I am WAY, I mean WAY, behind on Mays blocks, so here they are. I worked hard to get them done so that I can't get behind for June. 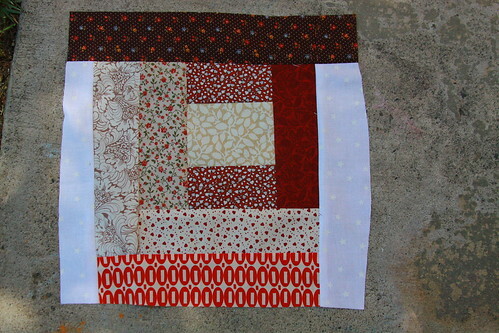 For the Pieced Together Quilting Bee, Allison's drunkard's path block. It was interesting to try curved seams, mine ended up a little wonky. Colleen gave us a list of what she wanted and I choose the square with-in square look with white space since she and I both really love the white space in a block. 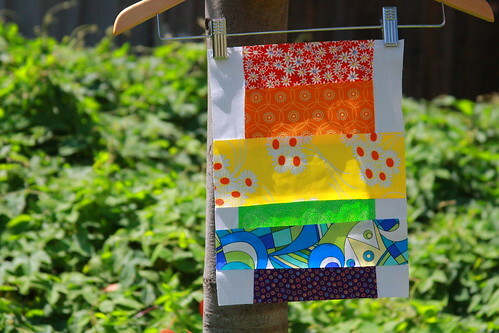 LOVED these fabrics for the (hehe) Darcy line. 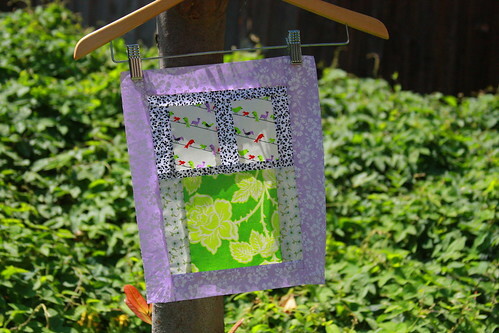 For the Cottage Quilting Bee, Carolyn's House block. This was was a little scary for me since I had never tried anything like this, but it turned out great, I only had trouble with the piecing the sky around the roof. 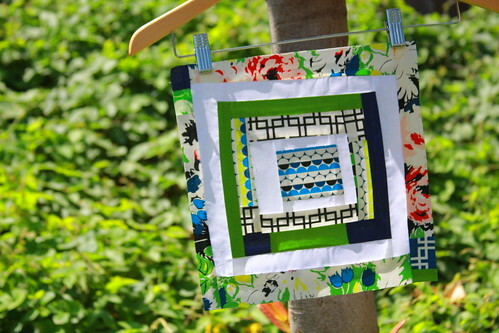 Ashley Ann's rainbow block, I loved this one. 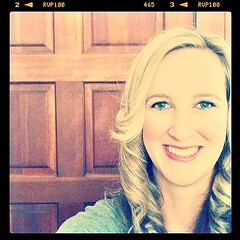 I was going for the rainbow and love it! Still not done! LOL. There was 6 blocks for May and that could have something to do with me getting so far behind, oh wait, it was mainly this little thing growing inside me taking all my energy. LOL. For Sew Connected 3, Quayandco's log cabin block. And last, but not least, is Sunnynole's bird block. Now I just have to make it to the post office to get all of these blocks back to their homes! those are all so cute! 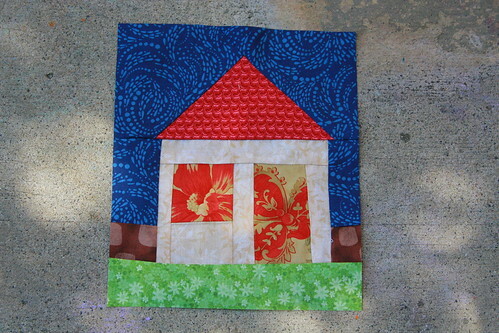 I love the house block...I really want to try to make that sometime soon. I love the sky on that house block and I love the birds on the wire. that's a bunch of blocks!! great work.